Chinese scientists have cloned five gene-edited macaque monkeys, the researchers reported in two papers in National Science Review on January 24. These clones were made though the somatic cell nuclear transfer method that was used to produce the first primate clones, also macaques, announced roughly a year ago. 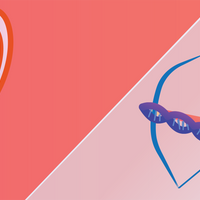 But in the new report, the monkeys’ genomes were first edited using CRISPR-Cas9 to show symptoms of sleep disorders by knocking out BMAL1, an important gene for circadian regulation. 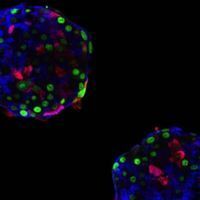 The researchers edited multiple fertilized monkey embryos to recapitulate circadian sleep disorders. Then the scientists picked the monkey with “correct gene editing and most severe disease phenotypes” for cloning, according to Qiang Sun, one of the papers’ authors and director of the Nonhuman Primate Research Facility at the Chinese Academy of Science’s Institute of Neuroscience in Shanghai, in a statement. 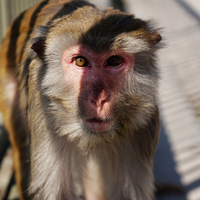 The signs of disease the researchers observed in the cloned macaques included loss of sleep and changes in blood hormones, but also increases in anxiety, depression, and “schizophrenia-like” behaviors, according to the paper. The stated goal of the work was to produce genetically identical monkey models of disease for biomedical research. 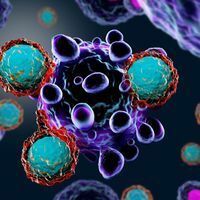 “We believe that this approach of cloning gene-edited monkeys could be used to generate a variety of monkey models for gene-based diseases, including many brain diseases, as well as immune and metabolic disorders and cancer,” says Qiang Sun in the statement. 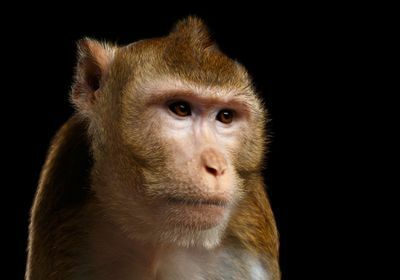 “This line of research will help to reduce the amount of macaque monkeys currently used in biomedical research around the world,” says study coauthor Mu-ming Poo, who directs the Institute of Neuroscience, also in the press release. Because the clones wouldn’t have confounding genetic differences, preclinical drug trials may be able to get by with fewer animals, Poo suggests. The project touches upon several thorny issues: cloning, animal rights, and gene editing. “Their experiment is a minefield of ethical quandaries—and makes you wonder whether the potential benefits to science are enough to warrant all of the harm to these monkeys,” writes Gizmodo. “It’s very clear that these monkeys are seen as tools,” bioethicist Carolyn Neuhaus of The Hastings Center tells Gizmodo. The researchers proclaimed the monkeys’ suffering as success and were not investigating a scientific hypothesis with their study, according to Neuhaus. If evaluating this research as part of an ethics review, Neuhaus says, she would hesitate to approve because of the “incredible harm to the animals.” She would need more information regarding their methods and what benefits the project would yield. “Xinhua [the state news agency] said the program, supervised by the institute’s ethics panel, was in line with international ethical standards for animal research,” Reuters reports.